Castello di Amorosa, Dario Sattui's authentically-built, 136,000 square foot, 13th century Tuscan-inspired castle winery overlooks the Napa Valley from its hillside location in Calistoga. Tour the Castello and taste our hand-crafted wines, including the Il Barone Cabernet Sauvignon (94 points, Robert Parker) and the La Castellana Super Tuscan Blend (92 points, Robert Parker), all available exclusively at the Castello. Reminiscent of old world castles, the Castello is complete with 107 rooms; each one different. Deep underground you will find the Grand Barrel Room, wine cellars and caves, a dungeon and Torture Chamber. Children of all ages are welcome at the Castello. Children ages 5 years and older are welcome on the tours. Castello di Amorosa has established private tasting areas for parents with children where parents can participate in wine tasting while the children color and enjoy juice. Large Roman cross-vaulted ceilings in the main tasting rooms; tours finish in a private tasting bar under the Castello. View from Tasting Room: Views of the Napa Valley from our hill top location. Wine Education: Tours and tasting have an educational component. To join the wine club, visit www.castellodiamorosa.com or call 707-967-6272. Castello di Amorosa wine club members enjoy a variety of wine club member events throughout the year including The Chocolate Festival, Royal Hearts Valentine's Dinner, Winemaker's Luncheon,The Midsummer Festival, Hot Havana Nights, Harvest Stomp Celebration, Pagan Halloween Ball, Cinquecento Cavalieri Club Winemaker's Dinner and the New Year's Eve Gala. Our Napa Neighbors enjoy 50 percent off Guided Tour and Tasting Experiences from 9:30am until Noon. Excludes Specialty Tours. Castello di Amorosa is certified under the Napa Green Winery Program by the Napa County Department of Environmental Management (DEM) and the Association of Bay Area Government’s (ABAG) Green Business Program and completed all the regulatory components needed for environmental sustainability. These components included developing water and energy conservation methods, preventing pollution, and reducing solid waste. In addition to developing sustainable winery practices, this program is set to become the standard for the state of California. 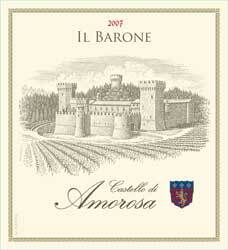 Castello di Amorosa is certified under the Napa Green Certified Land Program. Castello di Amorosa has created and implemented a customized farm plan with measured results that addressed all aspects of its property, vineyard land as well as non-farmed land, including practicing soil conservation, water conservation, stable drainage, riparian corridor enhancement, fisheries and wildlife habitat enhancement and long-term improvement and sustainability.